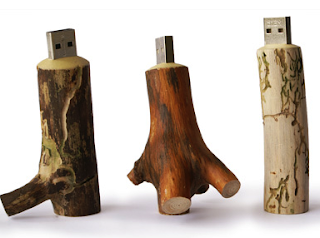 Who says nature and technology can’t mix? According to an article from Boholweb.com, my home province of Bohol has increasingly attracted small IT Companies; most of which are owned or financed by foreign nationals. Already based here are firms that specializes in software development, drafting services, web development, and several call centers. I won’t fail to mention a Boholano-owned tech company called Auza.net which has a main office that's located at Tagbilaran City. They provide dedicated Internet access service for call center operations, develop and maintain free information web sites, resell web hosting services, give IT consulting services and offer training on Linux and other open source software. This has definitely been a welcome development as more jobs are created in effect and thus improves the economic state of the province. Bohol is known as a great tourist destination due to its pristine environment and white sand beaches. This could be one of the key reasons why foreign companies are attracted to invest here. The other possible main factor for this surge of interest is the low cost of manpower. I hope Bohol will continue to attract more foreign investors for the good of those who are living here and for our country. However, I do hope that the preservation of this beautiful island of ours should be considered first and foremost. My curiousity about Bohol was piqued while reading some of your posts here and while visiting BoholBlog. I'm from South Dakota and I would love to visit Bohol pretty soon. i am a compsci grad and my mother is a native boholana... i am quite interested in your topic, with IT companies rising in bohol. do you have any other related infos about this? hello, i really got interested with your topic here. i'm a compsci grad and my mom is a boholana. i've also been to bohol for vacations, but was never aware of IT companies. always looked at bohol as something native and for vacations... nostalgic in a sense. Thanks Jhenz for the comment. As of now, the only info I have is the Boholweb.com article.